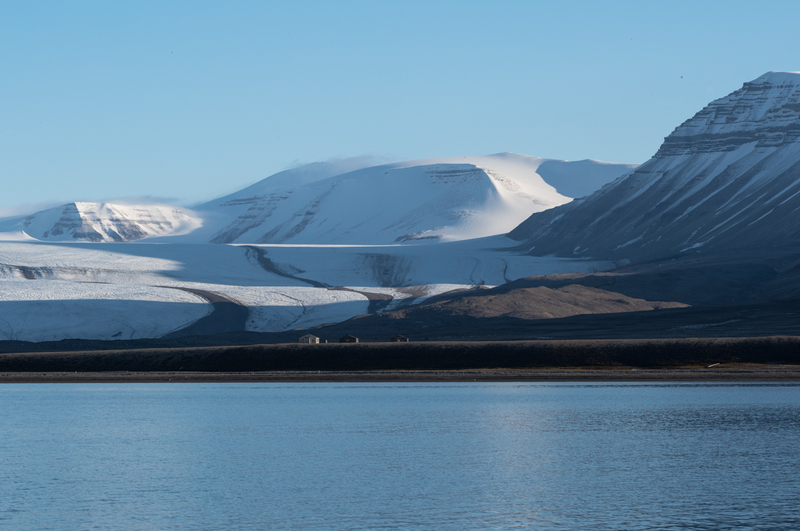 Glaciers.. what are they saying in Svalbard? I heard a thunderous cracking and deep rumbling boom. 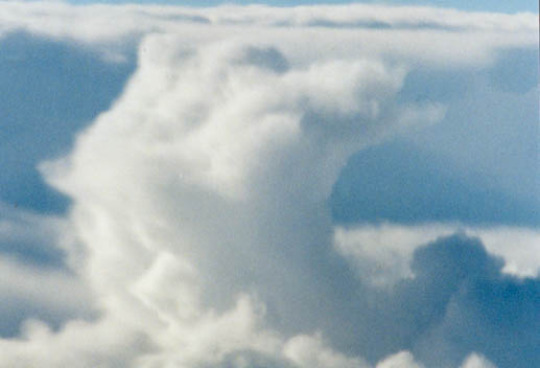 Where was the splash? 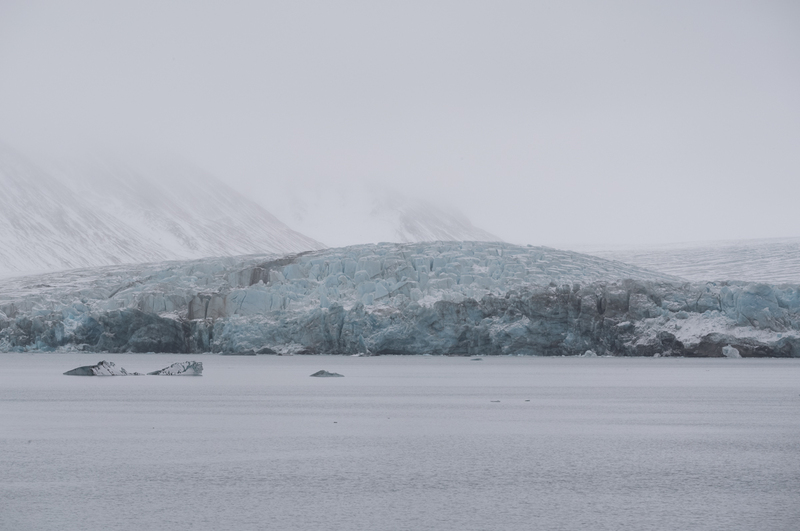 My eye searched for the plume of misty water rising from the huge chunk of ice falling from the glacier front… but I couldn’t see anything. 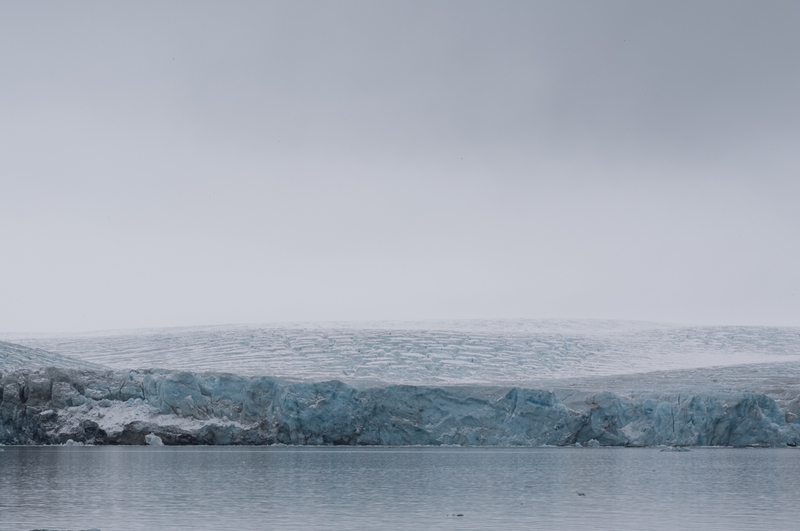 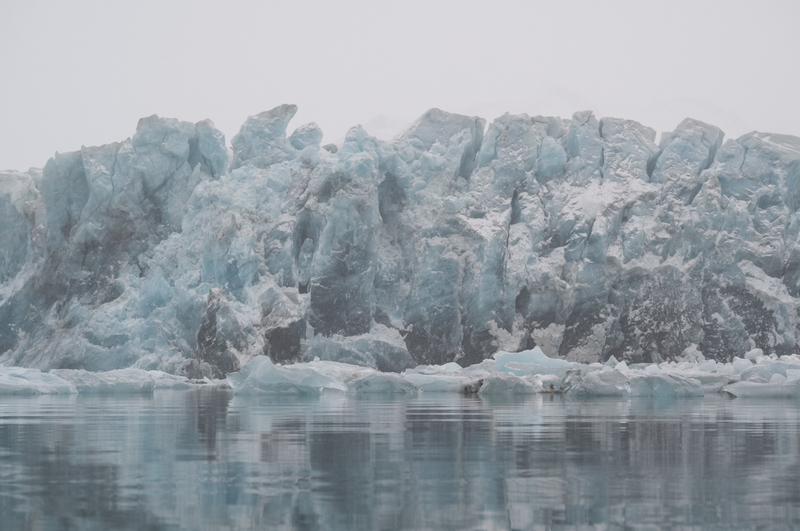 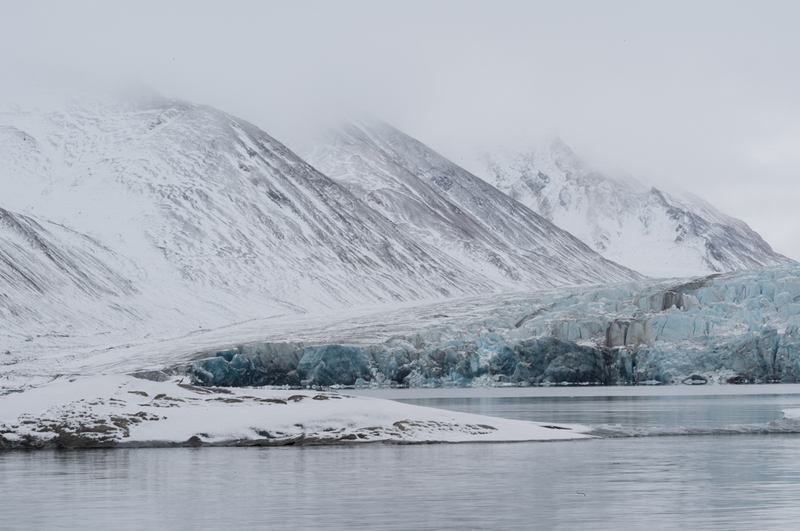 I missed it this time, but often I saw this immense fissured, white expanse of ice expel chunks and pillars into the freezing waters of western Svalbard. The groaning, cracking roar is unforgettable. 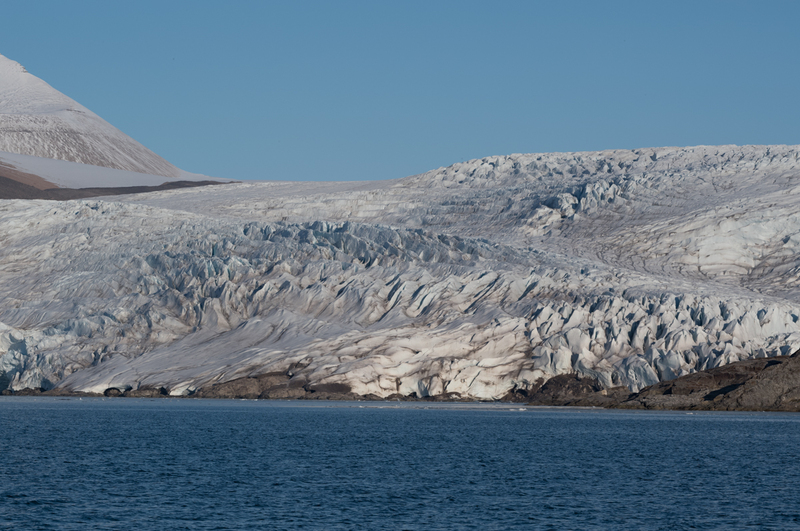 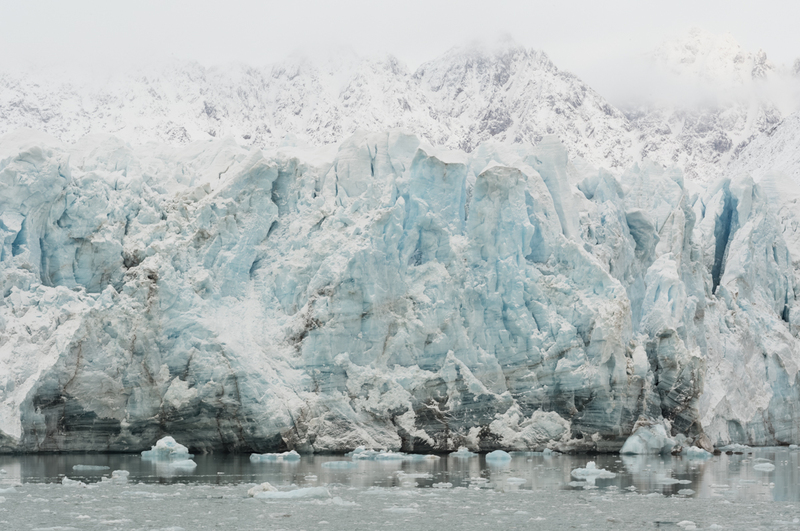 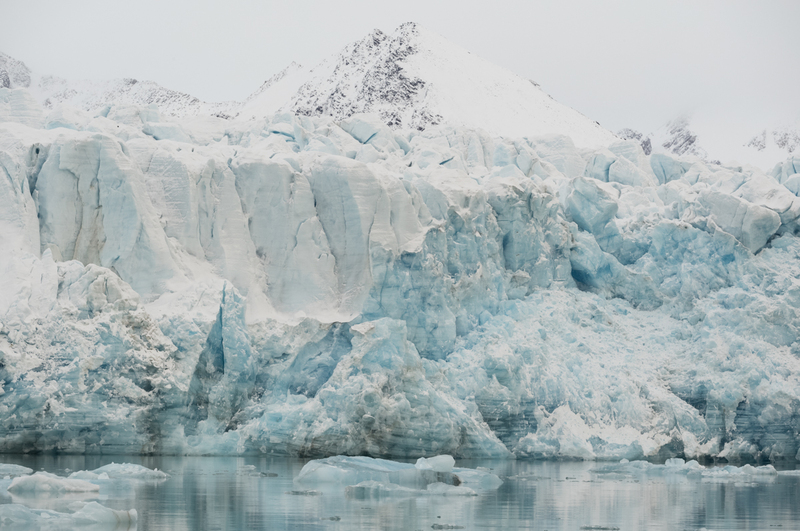 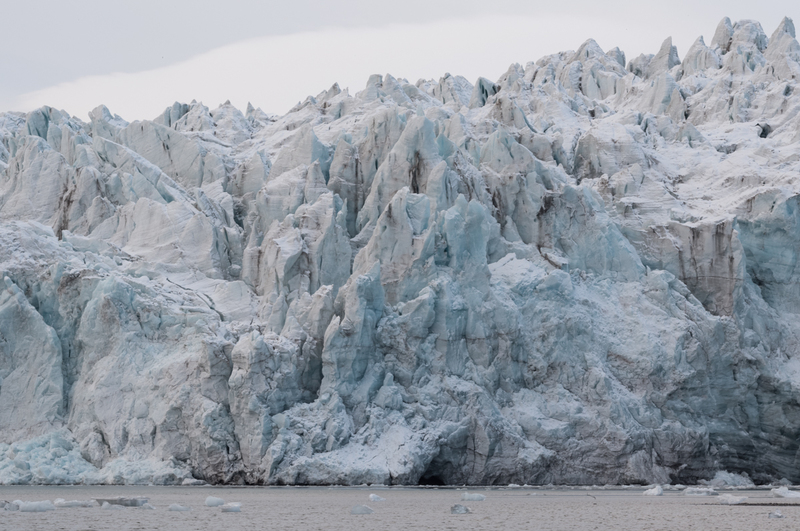 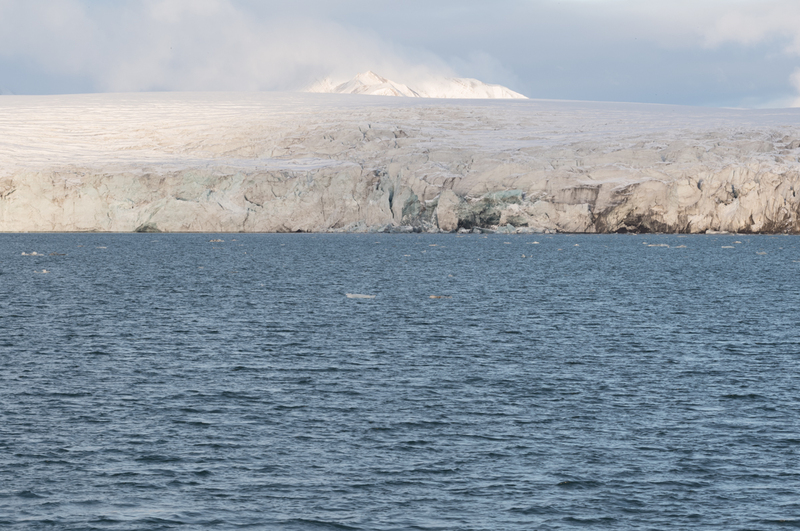 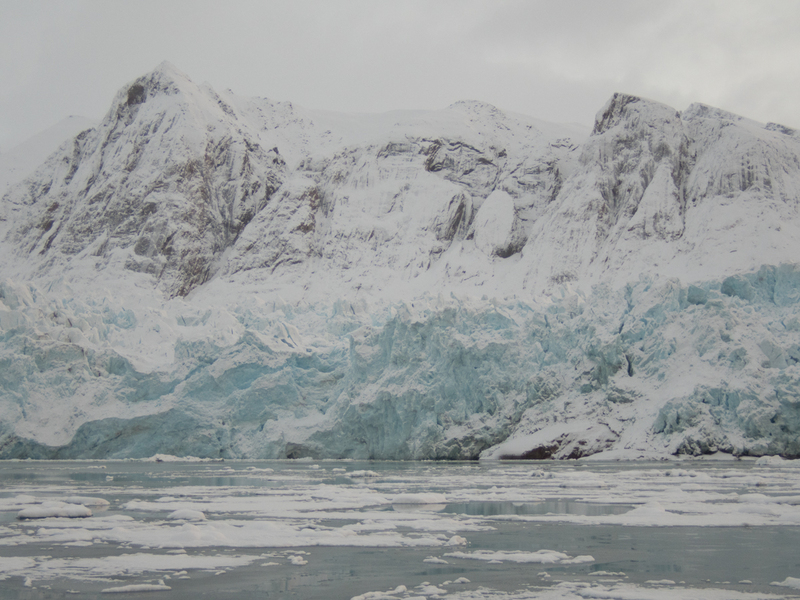 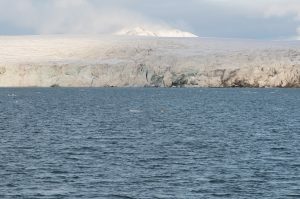 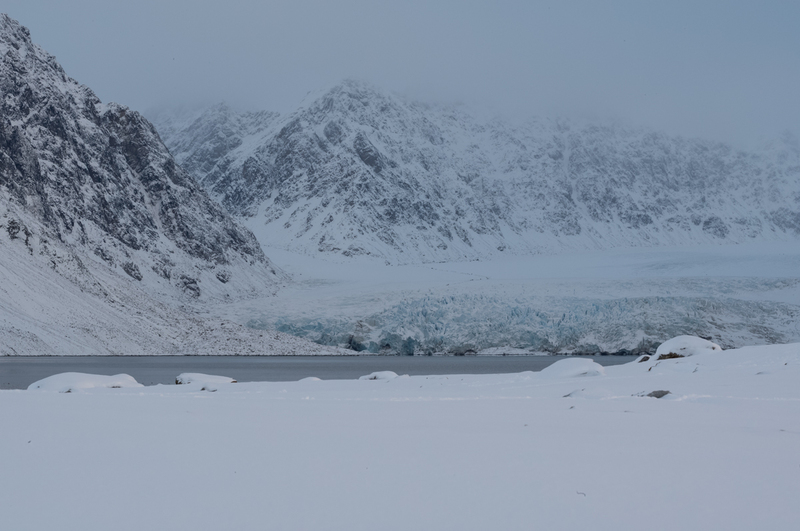 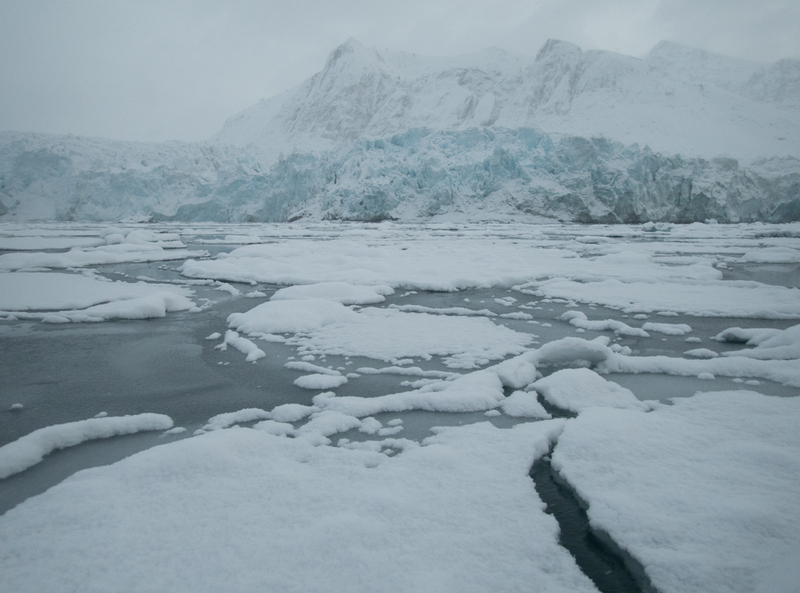 The glacier has a voice as it pulses and surges being drawn by gravity toward the sea. 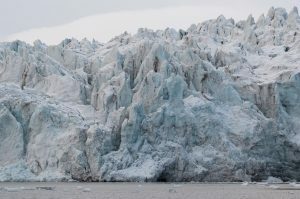 In slow motion, the falling structure of ice slides and crumbles into an engulfing, expanding, rising wave that itself has created. 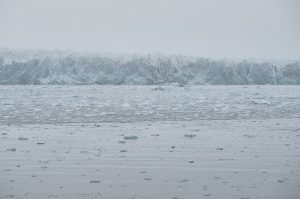 The huge displaced chunks of ice bob randomly behind the radiating wave that expands slowly away from the glacial front. 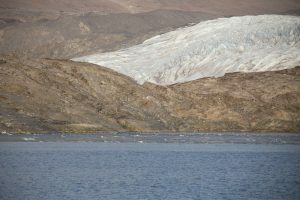 Every piece of floating ice in the path of this rising arc of water has it’s turn to move and reposition on the near freezing water, and their sploshes answer in response to the recent glacial fracture. 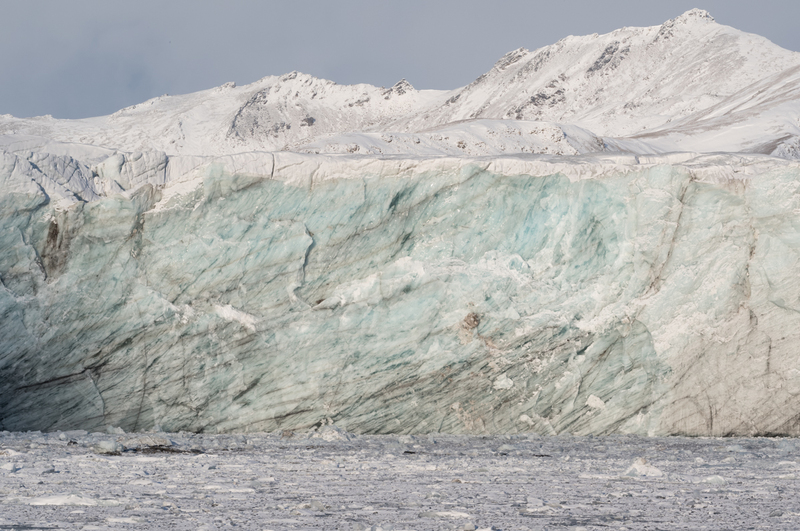 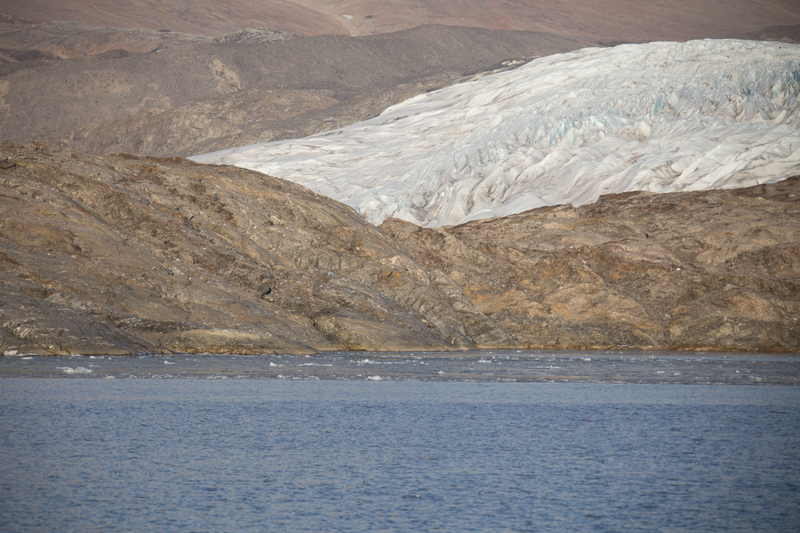 For me there’s something magnificent about witnessing a glacier calving. 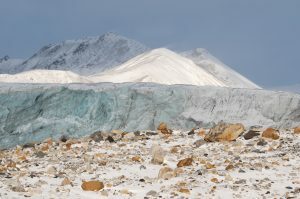 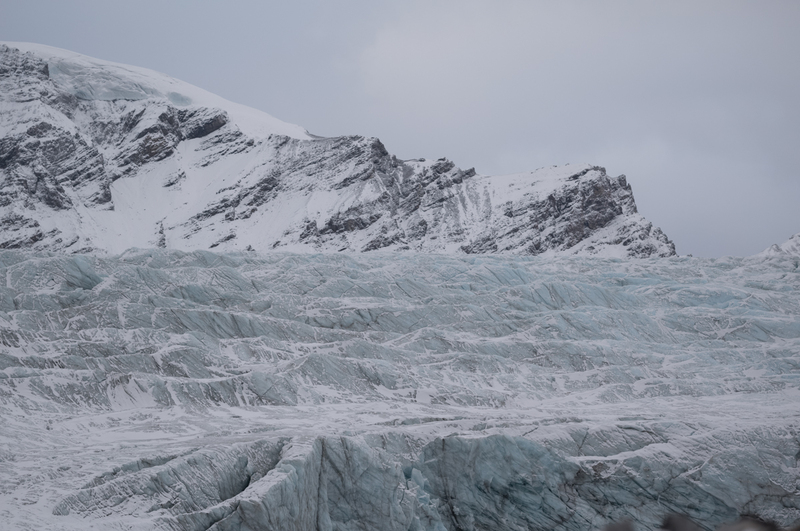 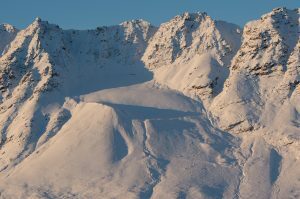 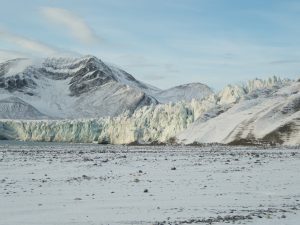 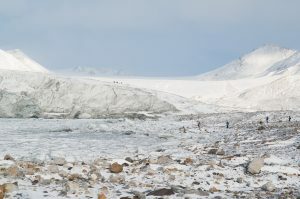 I know that the increase speed of progression of glaciers especially in the Arctic Archipelago of Svalbard is likely to be due to global warming; but to witness this phenomenon makes me stop and take notice of the forces of nature, and draws my attention to the enormity of the frozen masses meandering and sculpting the terrain. 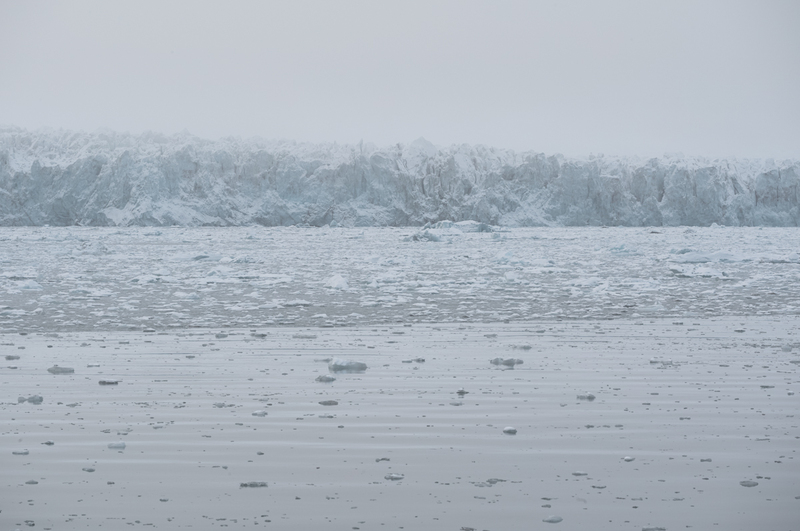 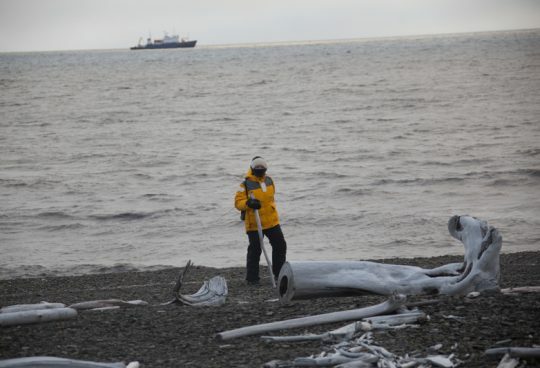 These bodies of ice each have a character of their own, and are unpredictable in their slide and rumble to the sea. 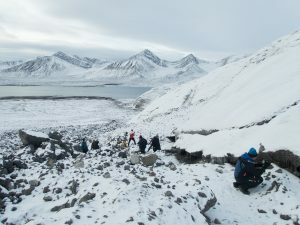 The black paths of the lateral moraines often mark the glacier’s path as it gathers indiscriminately soil, rock and debris from different eras. 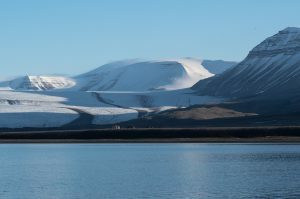 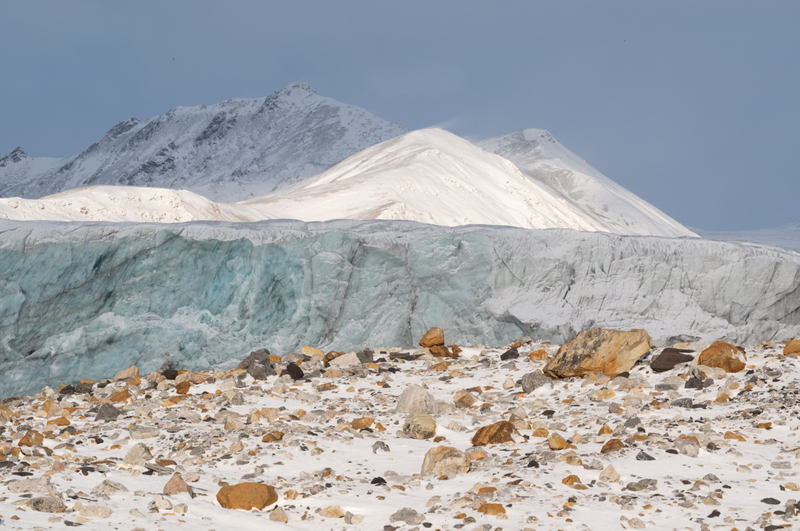 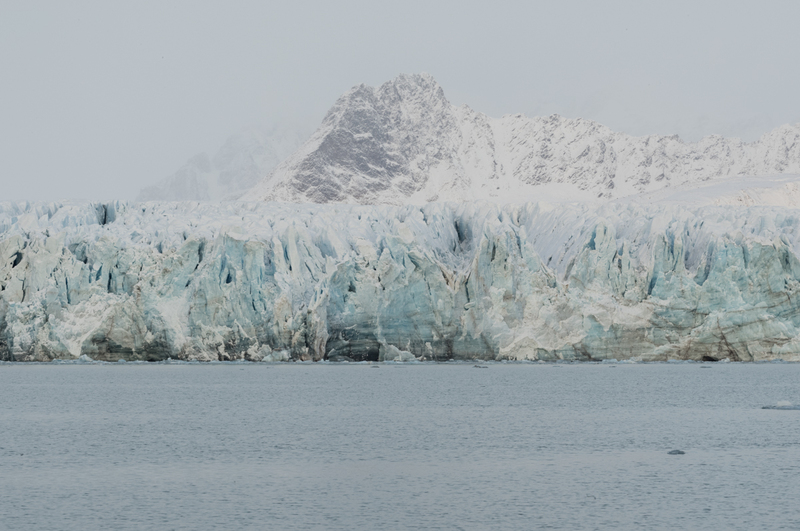 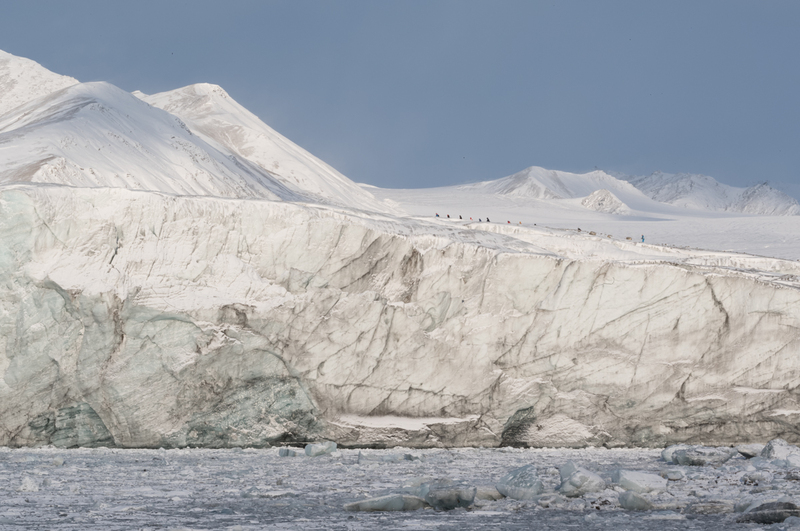 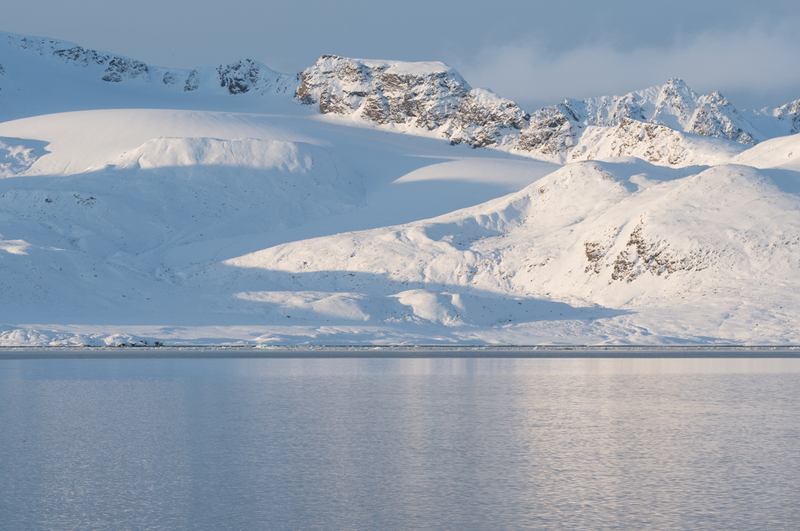 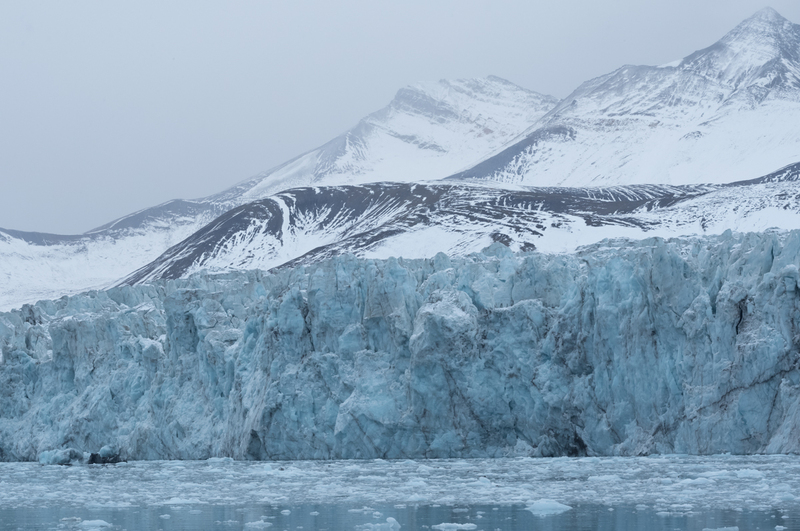 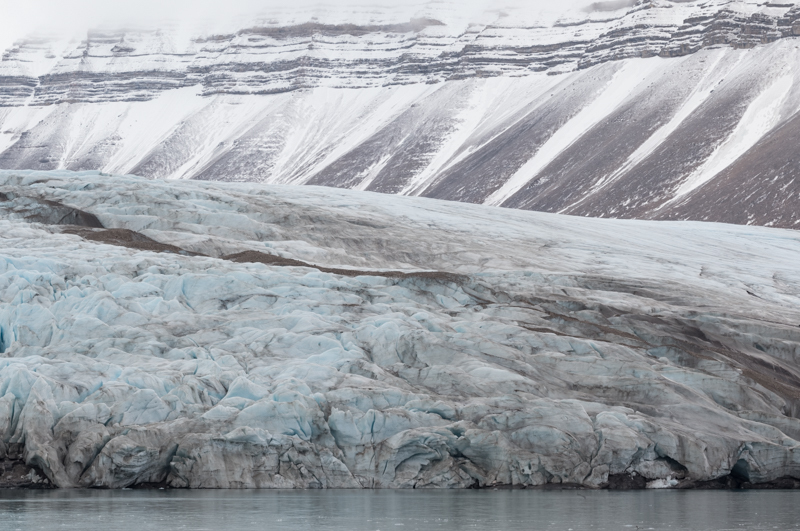 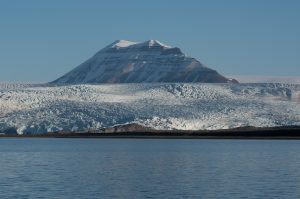 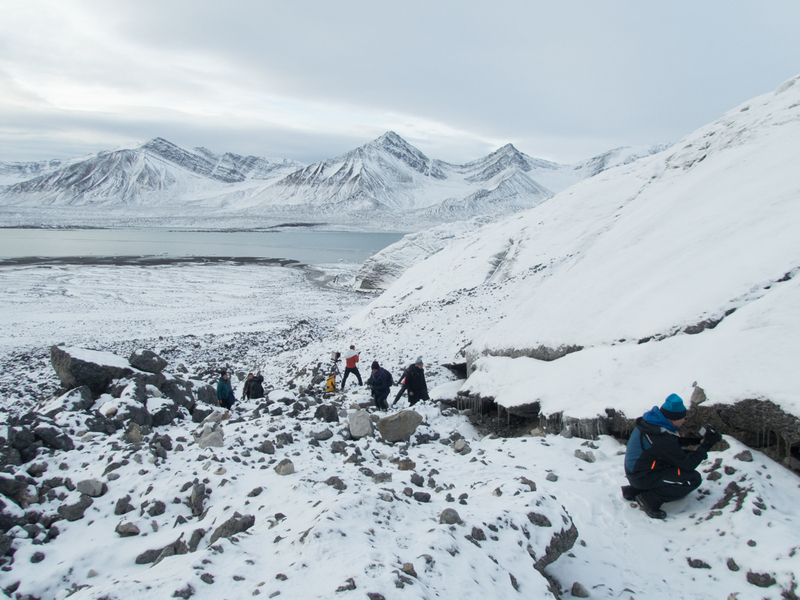 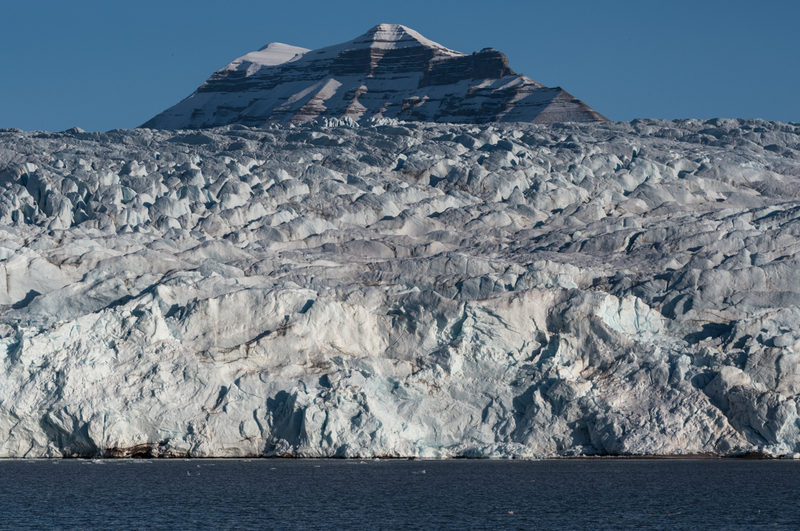 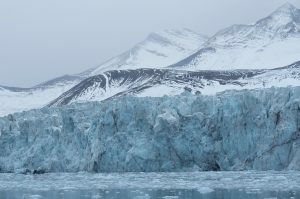 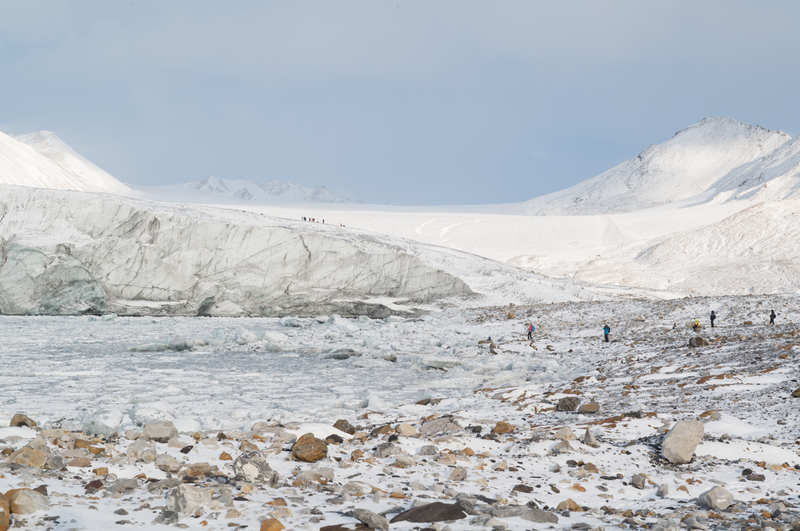 57 % of the Arctic Archipeligo of Svalbard is glacierised with 1668 individual glacier units composed of a mix of cirque and valley glaciers, ice fields and ice caps. 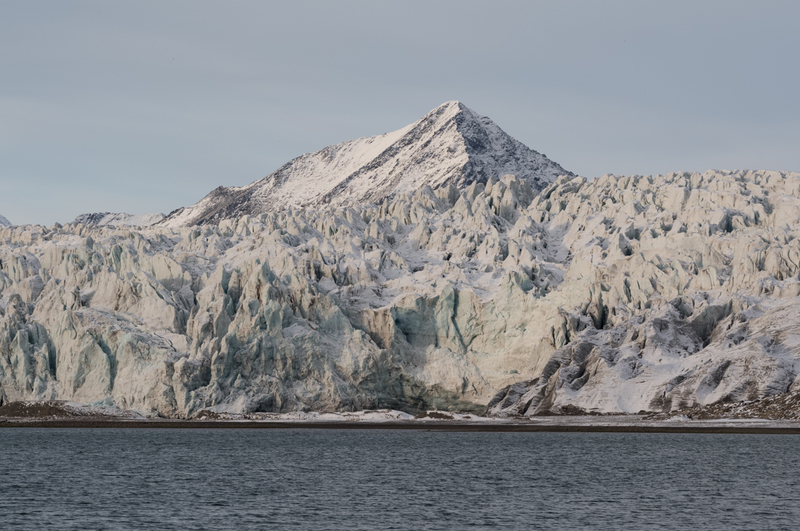 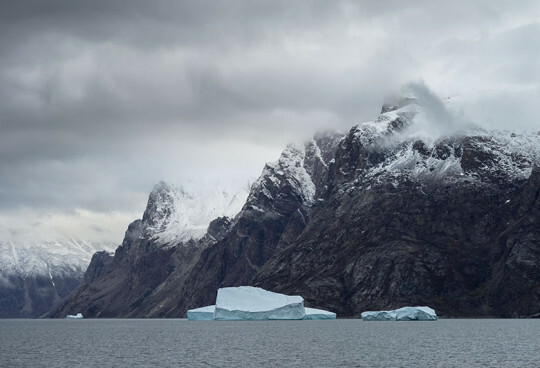 The photographic mapping of these glaciers was first undertaken in 1936/38 by the Norwegian Polar Institute (NPI). 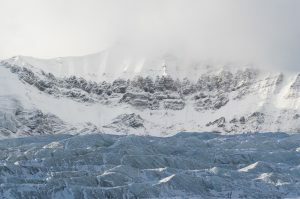 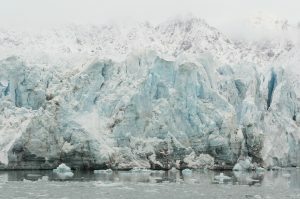 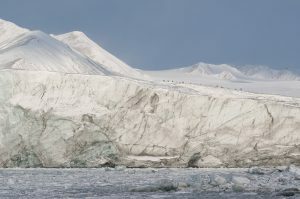 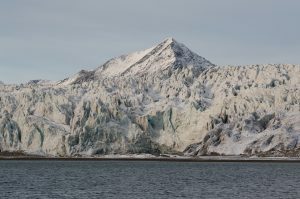 Scientists today are using Satellite imagery; GPS tracking devices and sea and ice sound recording equipment to determine the movement paths and rates of the glaciers, because due to the unique location of Svalbard in relation to air and ocean currents, Svalbard is thought to be an indicator of the effect of global warming on the planet. 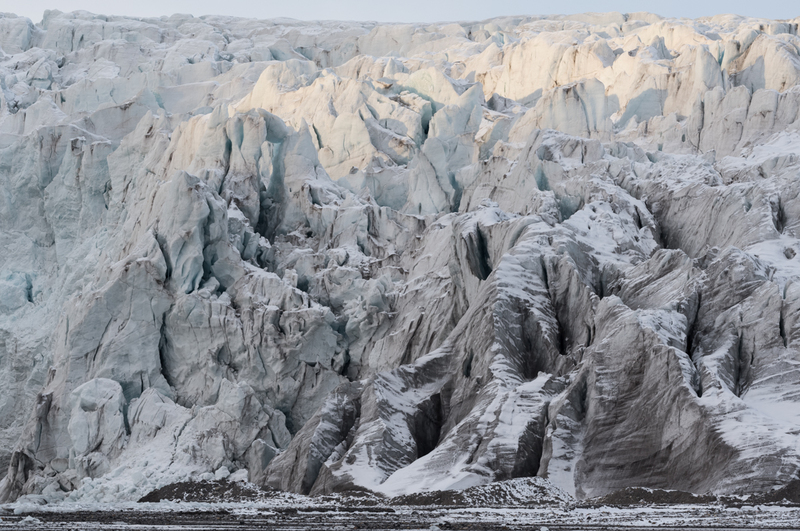 I’ve spent the day falling down the rabbit-crevasse of glacier facts and research and found it so interesting… but when I came upon the research paper of stacked mathematical equations in relation to glacial movement and forces, I decided to return to my photographs and get back to my experience of being in awe of these incredible structures in the Arctic. 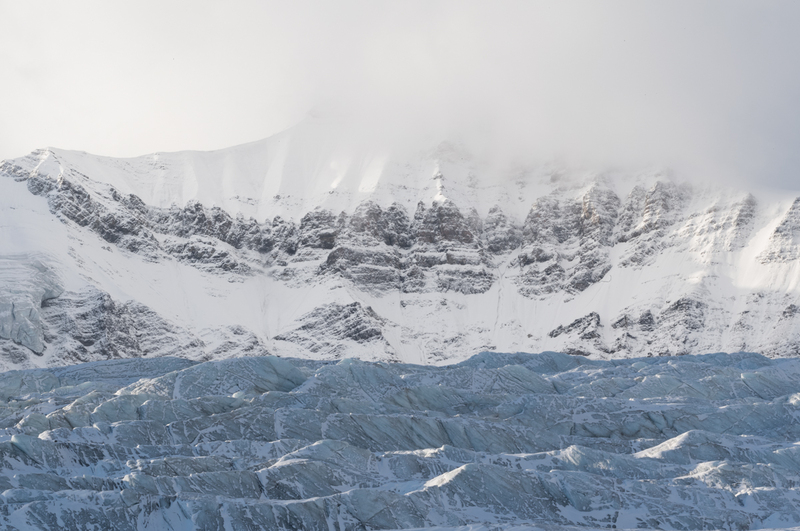 I remember when I climbed Osorno, the volcano in Chile… as we walked across the glacier on the mountain and heard the soft creaks and groans under our crampons…my guide José said “listen to her whispers”. I wonder what the glaciers here have to say? no more sleeps to go …. 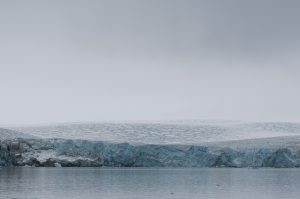 whaleswim in Tonga! 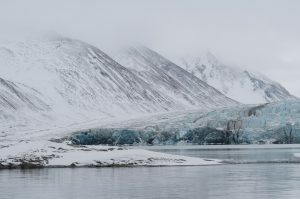 The past exposed in the present…. 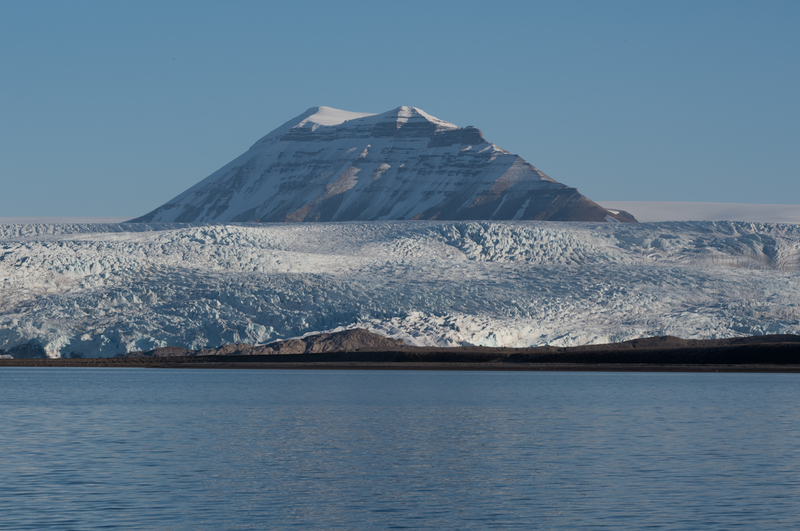 1.2 Billion year old rock.